Allocating $ 4 billion for raising the ARA San Juan submarine has been located one year after it vanished into the depths of the Atlantic Ocean with 44 crew members would have been a reckless decision. Report informs citing the TASS, Defense Minister Oscar Aguad said. “If it really costs $ 4 billion, it will be reckless. This is my personal opinion, to spend $ 4 billion while the level of poverty in Argentina is 30%”, he said speaking on AmericaTV. At the same time, the Minister noted that the main problem is not the possible cost of the operation, but the absence of technical means that would allow the submarine to be raised from a depth of 907 meters. “Our priority now is to understand what happened,” Aguad added. San Juan submarine with 44 people on board departed from the Argentine port of Ushuaia and lost the radio contact on November 15, 2017. 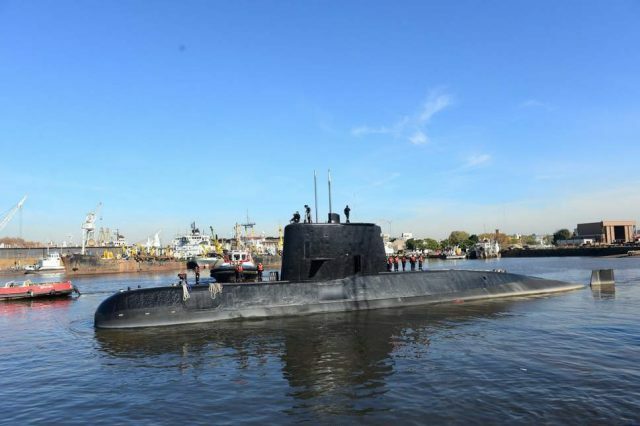 On November 17 night, the Argentine Navy reported the discovery of a submarine by the private American company Ocean Infinity, which was hired by the government of Argentina.